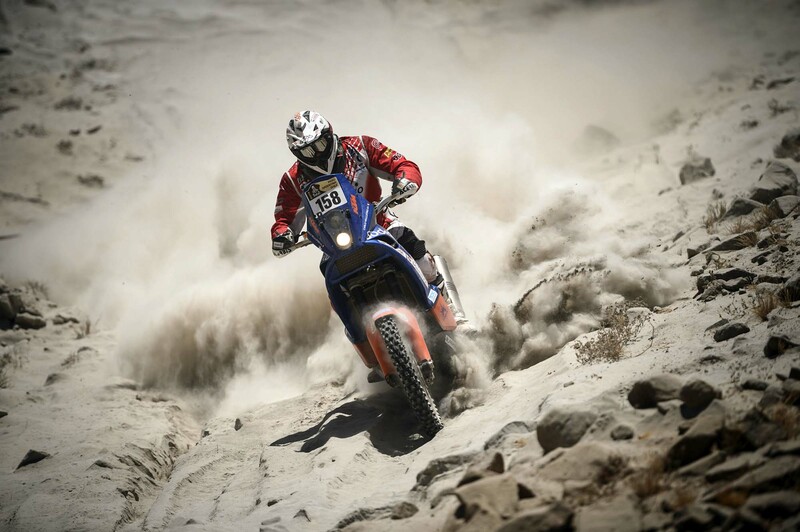 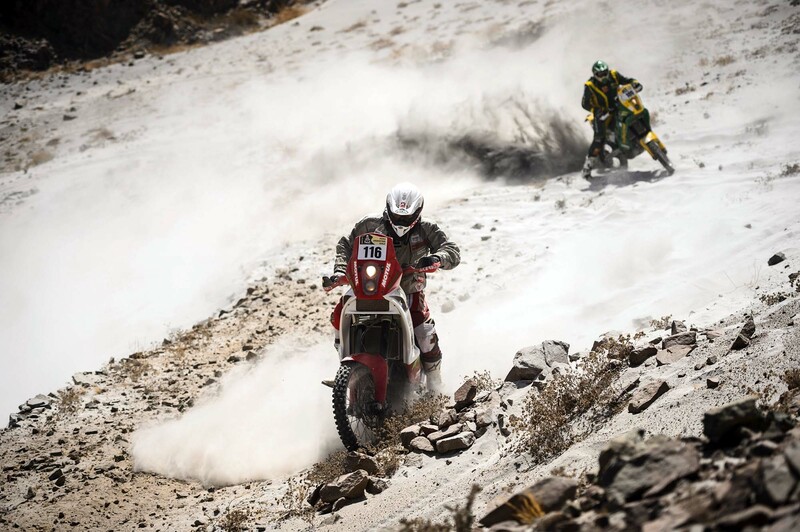 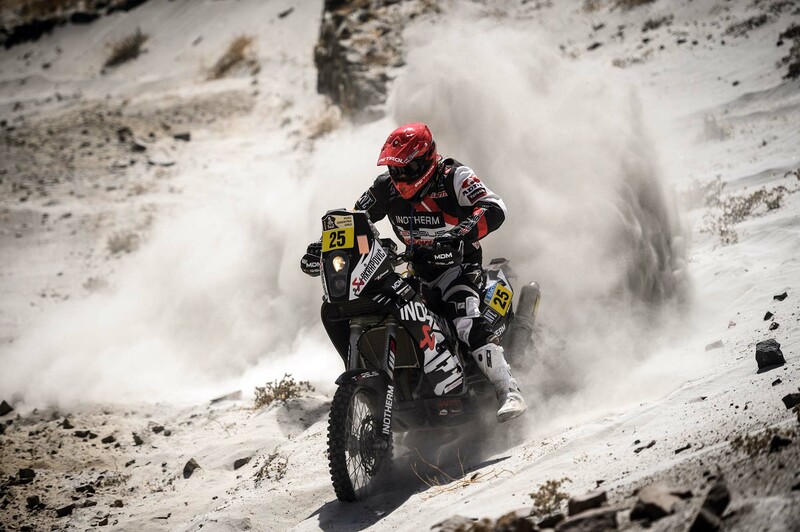 A hallmark of both the African and South American varieties of the Dakar Rally, ask any of the competitors in the 2013 Dakar Rally about what the Arabians call fesh fesh, and you may see their faces turn as ashen as the material in your inquiry. 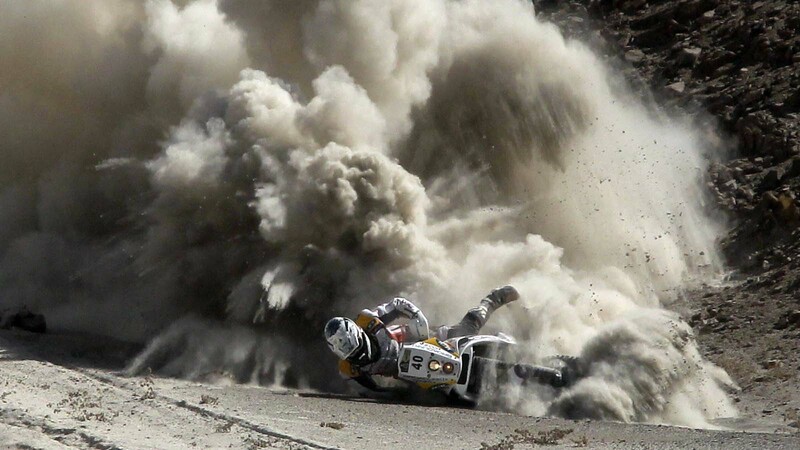 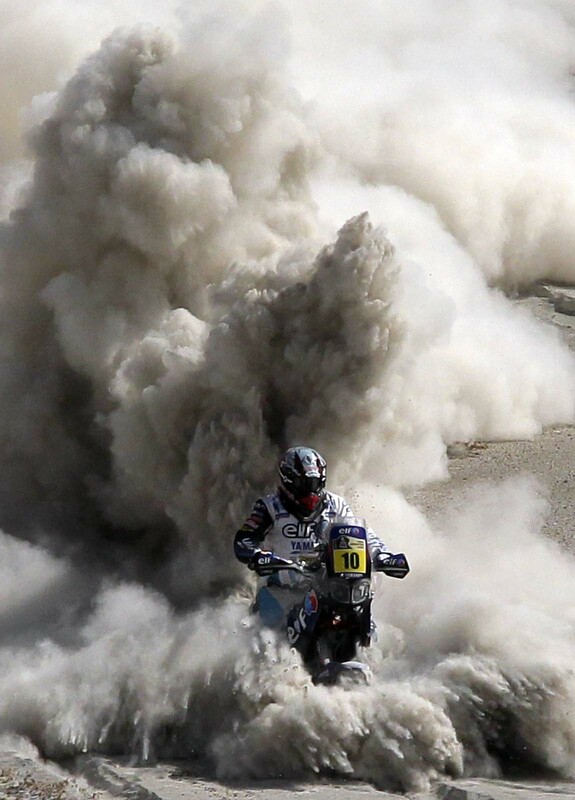 A very fine and light powdery substance, fesh fesh in large enough quantities can spell instant disaster for an adventure rider or rally racer, as it plumes can quickly obscure the vision, and its quicksand-like properties can instantly envelope tires that tread too deeply or too slowly. 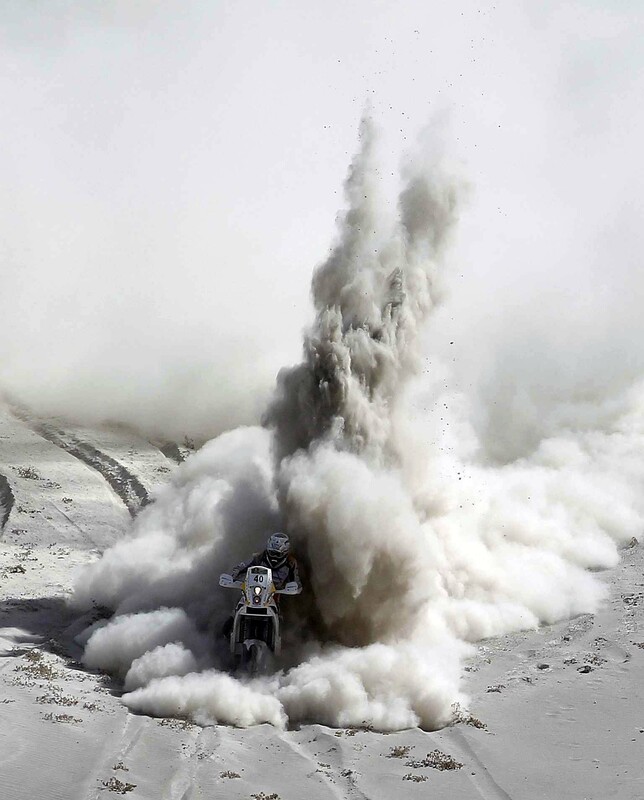 The byproduct of countless years of the erosion process, fesh fesh is sand that has been worn down from its typical granular size, into a dust-like particle that closely resembles talcum powder. 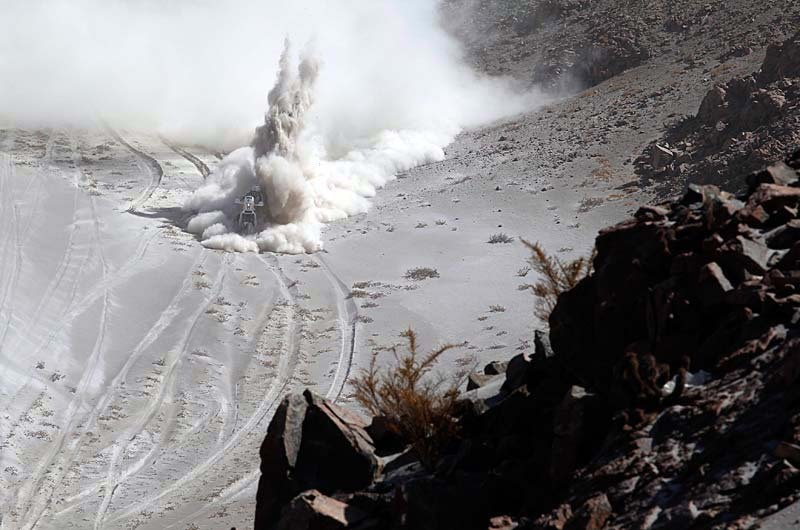 When layered thinly on hard rock, fesh fesh can be as slippery as ice, and when accumulated in deep pits, fesh fesh is essentially quicksand, minus the water. 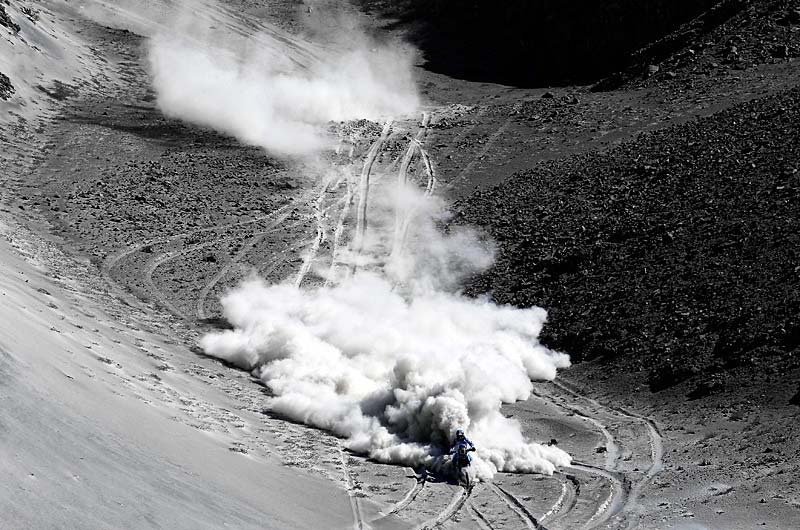 Once airborne, fesh fesh becomes a nuisance, as its billowing dust cloud can linger for much longer than other terrain, creating havoc for trailing riders and drivers in races like The Dark. 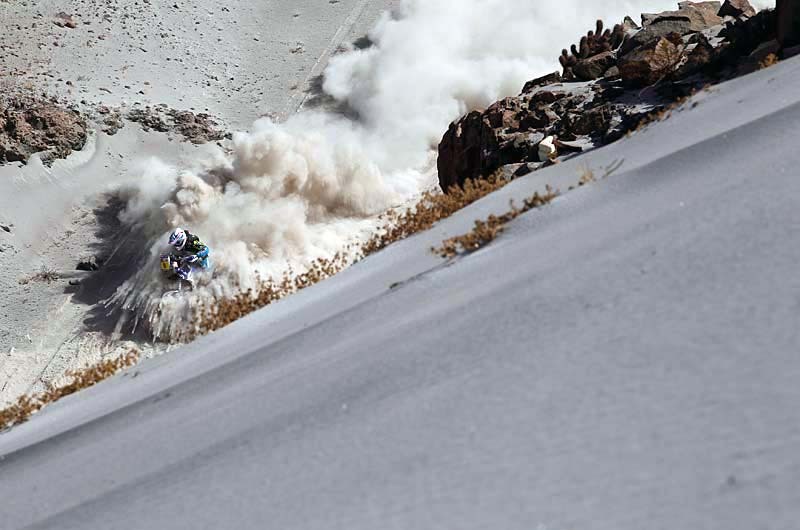 Light and finely size, fesh fesh easily sticks to what it lands on, which means for competitors stuck in a fesh fesh pit, their gear and themselves will rapidly become covered in the material, making the dislodging process only that much more difficult. 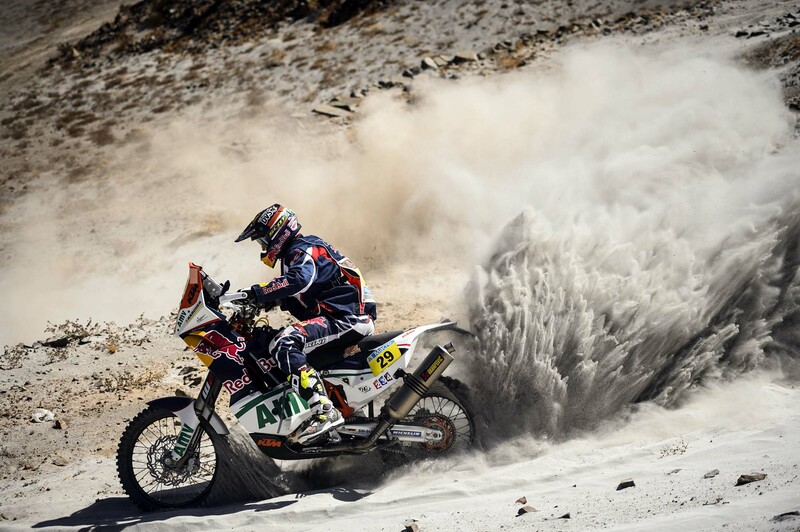 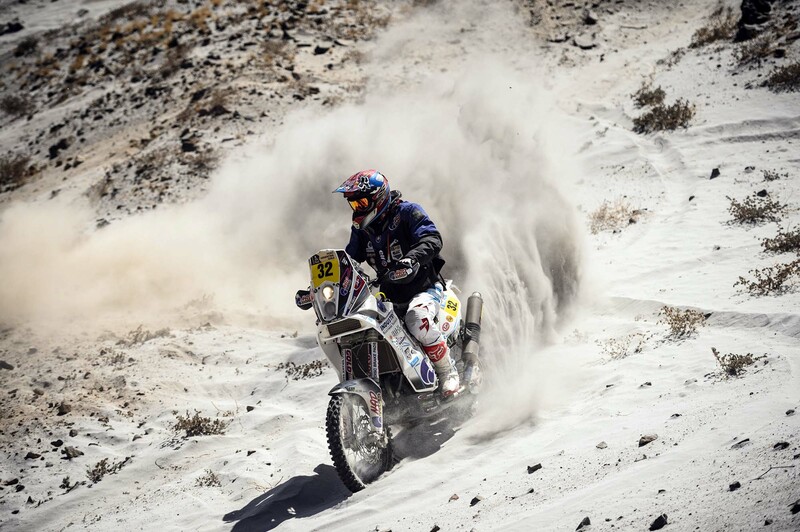 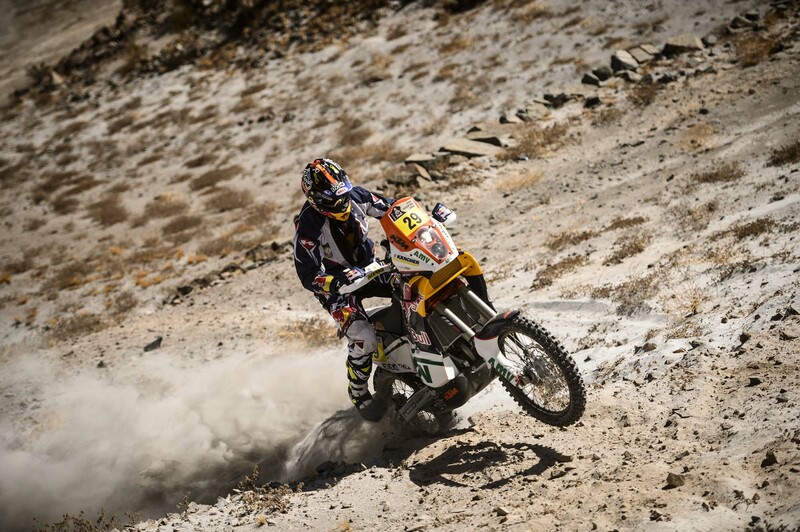 For as horrible as fesh fesh sounds, it creates some of the most beautiful imagery in the Dakar Rally. 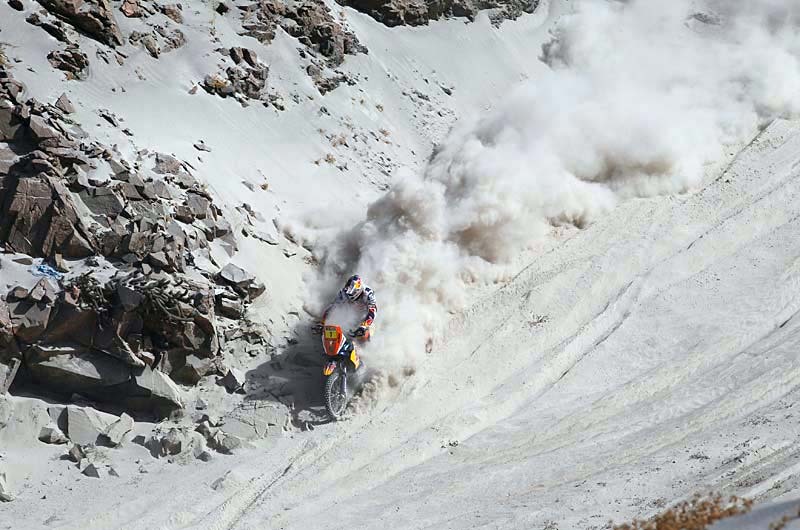 Enjoy below.